The online sportsbook business is a booming business and if you are in it, then you know there has never been a better time than now to be a part of this phenomenon. Gamblers are betting bigger and more frequently than ever and there is one reason for this; it’s legal! In the summer of 2018, the United States Supreme Court overturned an archaic law that suppressed online gambling. Now that this law has been thrown off the books, the online gambling sites have experienced a boon. The individual 50 states can freely regulate in-state gambling, as well as online gambling. As a result; folks are no longer fearful of online gambling sites and they are taking advantage of this. Online Gambling is no longer a boon just for the sportsbooks, it’s also a boon for the Online Casinos. “If you build it, they will come”. Gamblers love to gamble, and they get bored with limited options. Where do gamblers go when they get bored? They go to the competition. If you don’t have what they are looking for, they will find it somewhere. Sports gamblers are often impatient people, they want to be occupied at all times, especially if they are nervous about the outcome of a game or an event. How do they combat this? They jump over to the casino side of your business. Attention Bookies: The sportsbook business can be extremely marginal. There are certainly good times; I.E. the Superbowl, the NCAA Tournament, a few other grand events during the course of a sporting year. If you have been in the sportsbook business for any length of time, then you know there are lean times. You know that you are not always winning, and there are times when you get beat, and beat often. Usually, you can make up for these losses and it “comes out in the wash”, not always, but usually. This is simply the nature of the sportsbook industry, it’s marginal, and often, you will be on the wrong end of the narrow margins. Attention Bookies: The casino business is never marginal; the house really does win! Really, the old saying, “the house always wins” that applies when talking about the casino. If you are any kind of bookie, on any level, with any number of players, then you simply can’t afford to not have an online casino. Casino profits are huge, the rollovers are enormous, and players will sign up for those rollovers. What is necessary to start an online casino? If you are an online bookie, then you are probably using a pay per head service. That’s a smart move for any agent to make and one that will underscore a solid profit margin much more consistently than going this adventure alone. 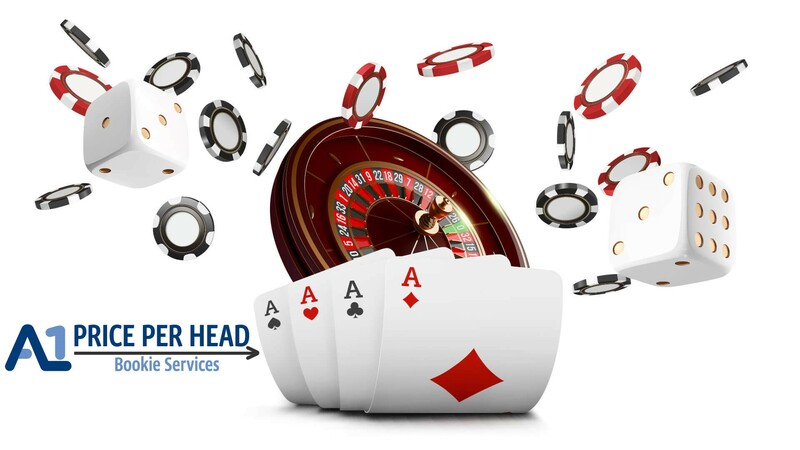 Many bookies do not realize that the pay per head service they are using—they offer a fully functional, Las Vegas style, online casino. The best, easiest, and by far the quickest way to start an online casino, is by starting it with a pay per head provider. Find a great pay per head provider and ask them about their online casino, what online games they feature and how quickly you can be up and functional. In most cases you will be up and fully operational within a day or less. Don’t be left out, get in now and start seeing big profits. Baseball season is the best time to open an online casino. Baseball gamblers bet all-day long and they look for other action besides baseball, they look for a casino. If you have it, that means you are beating them. You are seeing the money reinvested and you are seeing big profits. Take advantage of the easy options for opening an online casino. The fees are minimal, and you are entitled to the same great customer service that you receive with your online sportsbook. You want loyal clients, in order to keep your clients, they must be entertained. Do your clients a favor and do yourself a favor, check out the many great online casino options that are available through a fantastic pay per head. Remember, your clients are gamblers and gamblers gamble on anything. They will certainly use your online casino and that means big-time profits for you. The online sportsbooks may not always make money; the online casinos will always make money!